Hot Melt Granulators – Series HMG-1008 – Foremost Machine Builders, Inc. The Hot Melt Model is intended for processing hot thermoplastic directly from the extruder die without pre-cooling. Hot blow molding parisons, wire and cable hot melt, as well as compounding applications normally performed by a water stream pelletizer, can all be handled by this machine. An integrally mounted high CFM direct drive blower both cools the cutting chamber and conveys the granulate produced to a bin, from one extruder to another, as might be required in startup and purging operations. The standard model is equipped with an 8″ x 1″ inlet horn, but other sizes can be provided optionally, as dictated by the specific applications. Inlet Size: 8″ x 1″ (others optional). Screen Size: 1/4″ diameter (standard), others optional. 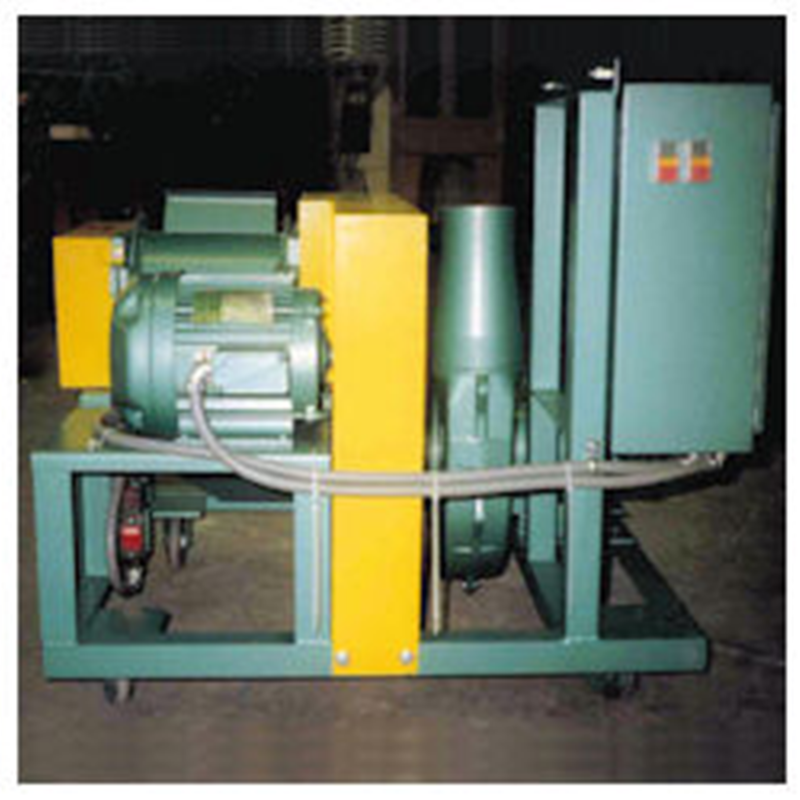 Conveying/Cooling System: 3 HP (TEFC) direct drive blower with Model 500 cyclonic air separator.